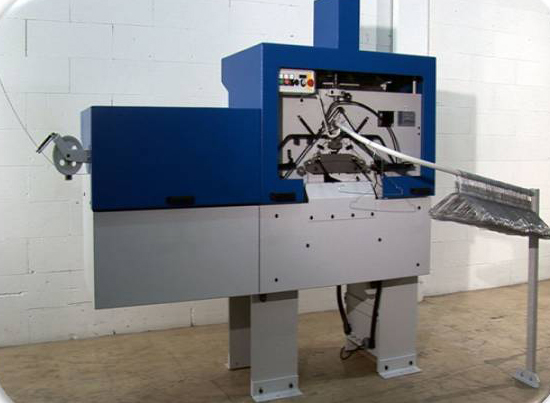 The coat hanger machine SMB-1 is designed for the manufacture of wire coat hangers. From the wire coil or crown stock the machine produces fully automatic finished formed wire coat hangers. Cam controlled bending tools guarantee a trouble-free production at output rates of up to 3’600 hangers per hour. an infinitely variable speed adjustement ensures optimum efficiency in any range. individually adjustable hanger tools round out this very robust machine concept.Steel-, aluminum or plastic coated wire will be processed!